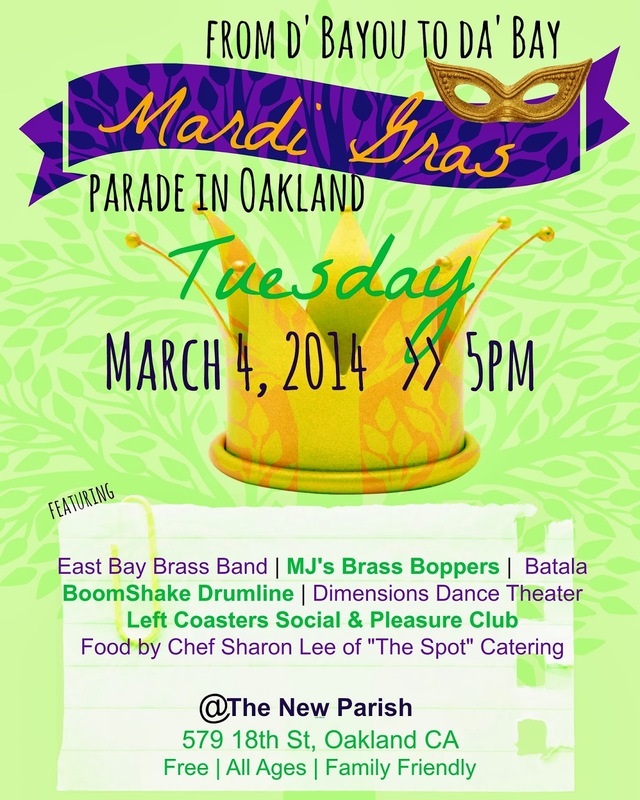 Join MJ's Brass Boppers and Friends to bring the spirit and body of Mardi Gras to Oakland! FREE family-friendly street party> Mardi Gras Second Line Street Parade 5:00 pm starting at New Parish. From de Bayou to da Bay, Laissez les bons temps rouler with the East Bay Brass Band, MJ's Brass Boppers, Batala, BoomShake Drumline, Dimensions Dance Theater, Left Coasters Social & Pleasure Club, Food by Chef Sharon Lee of "The Spot" Catering.